ESPN5, the multimedia licensing and co-branding collaboration between ESPN and TV5, is launching local ESPN5-branded editions of ESPN.com as well as subscription sports streaming service ESPN Player that can be accessed by sports fans in the Philippines on January 31st. What this means is Filipino sports fans will have an exciting new digital gateway for all the latest news, scores, video and even behind-the-scenes and human interest stories from the Philippines sporting scene and around the world - anytime and anywhere. The best of ESPN’s comprehensive coverage of global sports that interest Filipino fans, ESPN.com and the ESPN app (the app is launching later this year) will bring fans closer to the games, leagues and athletes they love via world-class digital products. Both the website and app will offer the best of local and global sports including (but not limited to) PBA, NBA, NFL, Volleyball, soccer, tennis, eSports and more. Fans will be served a one-stop destination for world-class news, features and videos across sports currently underserved by any digital offering in the region. LIVE and on demand sports including NCAA College Sports, X Games and IndyCar. NCAA College sports (March Madness and Final Four), Volleyball, Football, Lacrosse and ESPN College studio shows and more will also be available via ESPN Player, a subscription sports streaming service. ESPN player promotional codes with 12-month access will be bundled with select SMART Postpaid plans (including iPhone Plans), and later to Smart Prepaid and Smart Bro. The ESPN Player is compatible with Apple TV (though AirPlay) and ChromeCast with a monthly recurring pass at 99 Philippine Pesos per month. Devices supported include Mobile, Desktop and Tablet. ESPN Player will give sports fans access to enjoy sports they love anytime, anywhere. 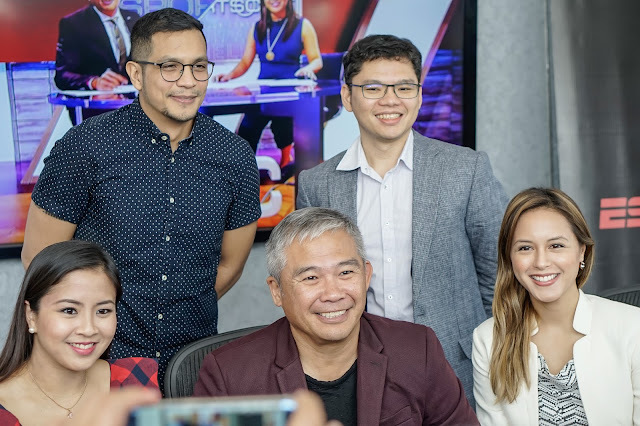 “We are proud to be able to feature Philippine sports news, stories from the PBA, PSL, GILAS, and all other sporting events TV5 covers as part of ESPN’s digital platforms. Now we can truly give our audience the broadest array of sports content when they want it, where they want it,” says TV5 President Chot Reyes.